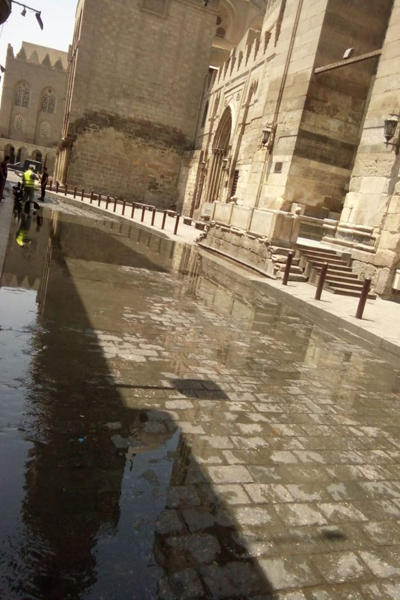 The historic Al-Muizz Street in Islamic Cairo has been cleared of sewage water that had flooded the street due to the clogging of a sewer pipe in the area. The pipe clogging problem has been resolved by the Historic Cairo Rehabilitation Project (HCRP) in collaboration with the National Authority for Potable Water and Sewage. Mohamed Abdel-Aziz, director-general of HCRP, explains that when the pipes were blocked and the sewage water flooded the street, the HCRP administration immediately contacted the street’s cleaning company, which is affiliated the Ministry of Antiquities, to pump out the water and repair all the damages. 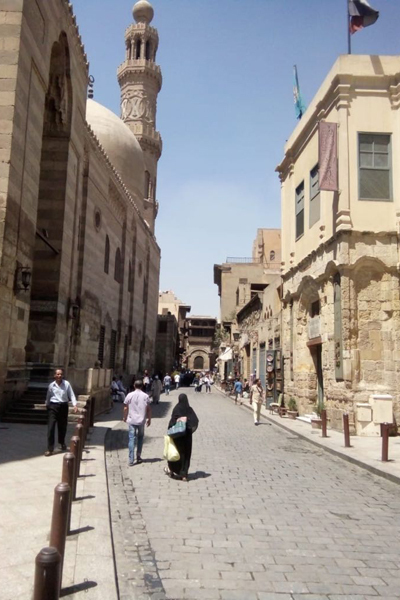 Abdel-Aziz pointed out that the sewage pipes at Al-Muizz Street get blocked every now and then due to the high volume of solid waste that results from the heavy commercial activity on the street. 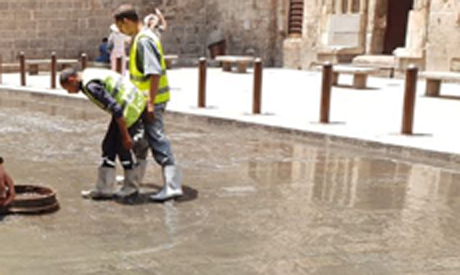 To prevent recurrences of the incident, a periodical cleaning system will be implemented on the street’s sewage pipes and sinks in collaboration with National Authority for Potable Water and Sewage and Cairo governorate.